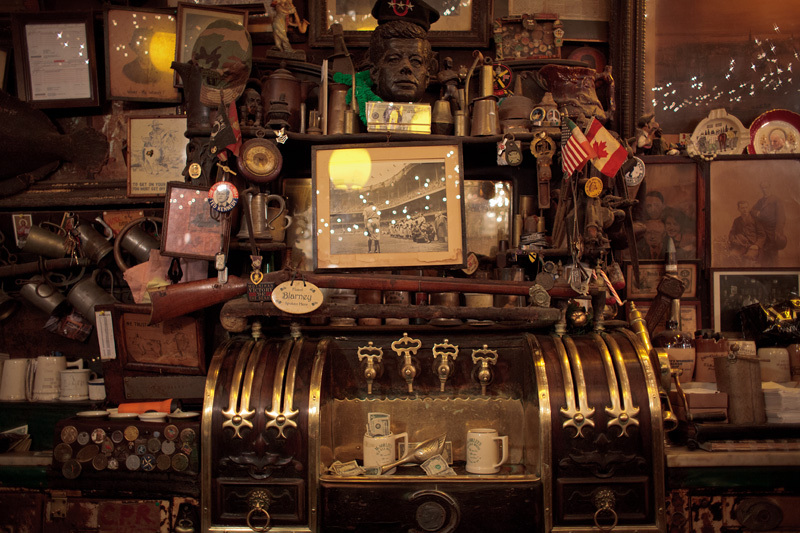 "McSorley's bar is short, accommodating approximately ten elbows, and is shore up with iron pipes. 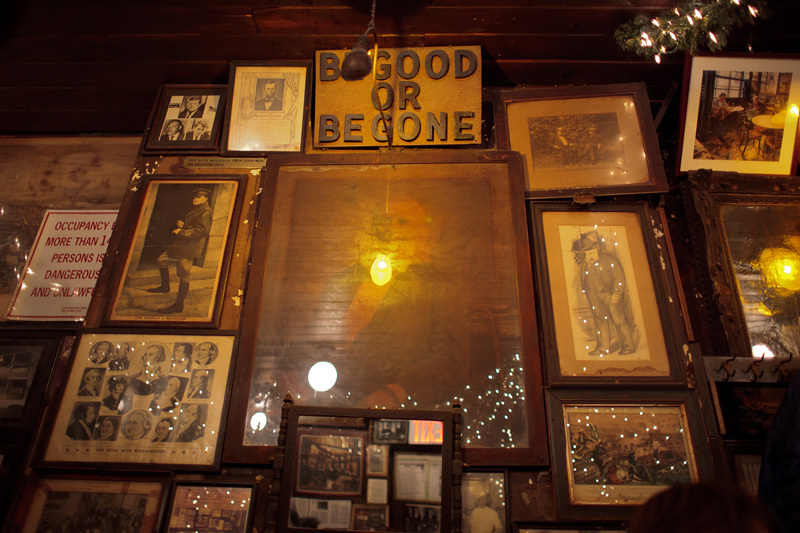 It is to the right as you enter. To the left is a row of armchairs with their stiff backs against the wainscoting. The chairs are rickety; when a fat man is sitting in one, it squeaks like new shoes every time he takes a breath... In the center of the room stands the belly stove, which has an isinglass door and is exactly like the stoves in Elevated stations. All winter Kelly keeps it red hot. 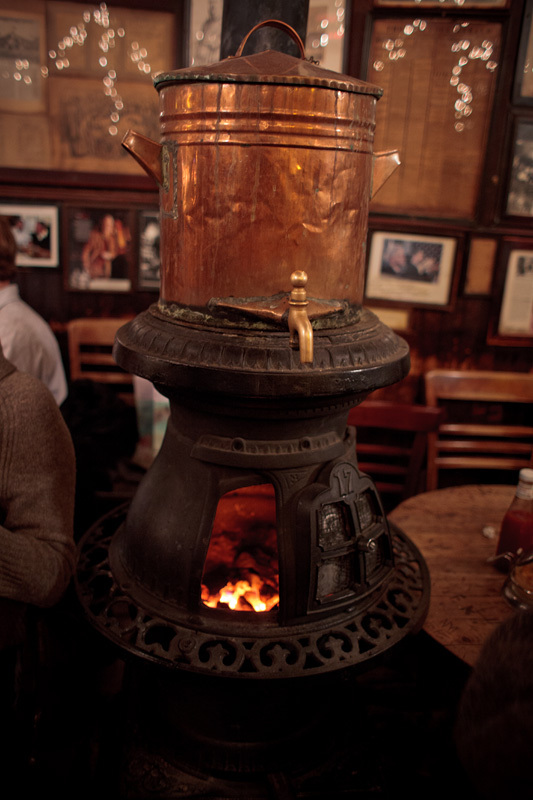 "Warmer you get, drunker you get," he says." A month or so ago I picked up the book Up in the old Hotel by Joseph Mitchell. After the madness of the holidays I've finally found the time to read and the first chapter had me. I woke at 4am wondering how after 14 years in this crazy town I haven't been to McSorely's. How? 14 years! 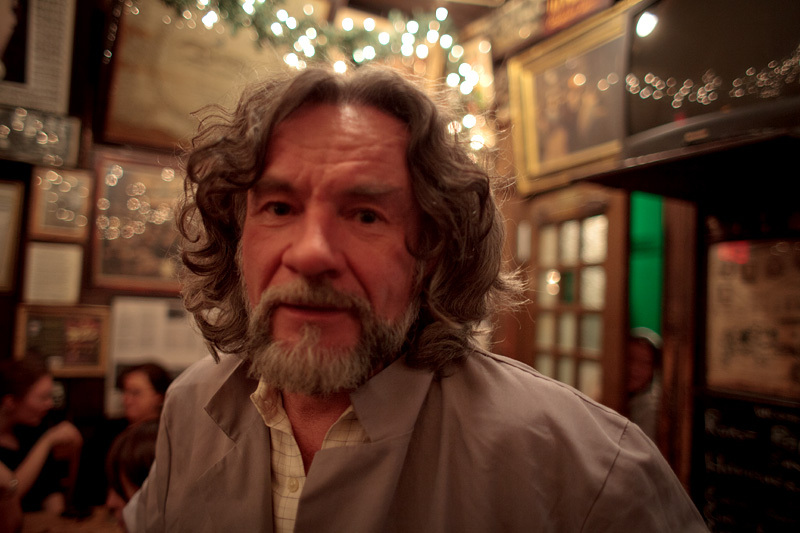 So I called my historian and invited him to a beer. He's been everywhere in NYC. He knows it all. And yet... he hadn't been either. So together we made our way to 7th Street. 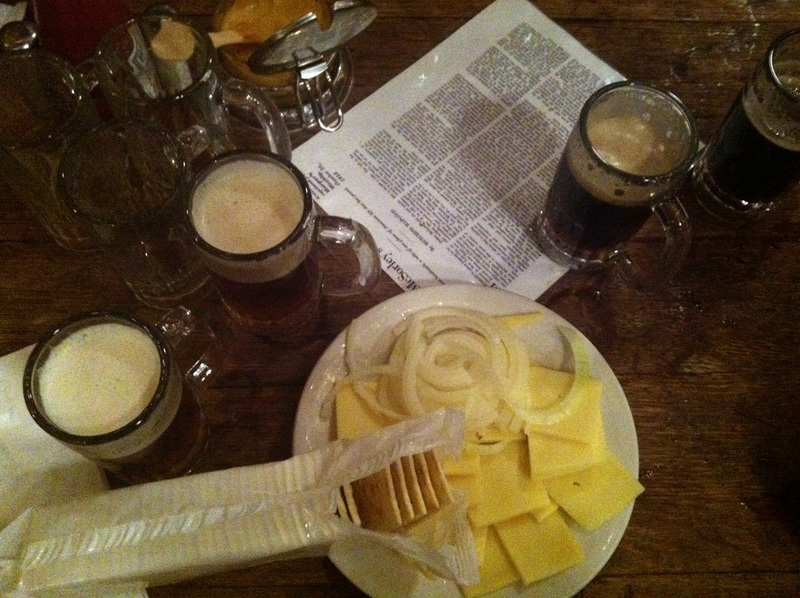 Two pints each - two light, two dark and a plate of cheese and onions to keep with history. I was afraid to be let down by change and tourism but I wasn't. I loved it. Yes the place is filled with tourists but after reading just one chapter from 1940, I can tell you, so little has changed... even the way Timmy throws the pints to the table. Love. Thank you NYC.